Hello All Amazon reviewers, Did you know you could be making extra cash by writing blog posts with your reviews? 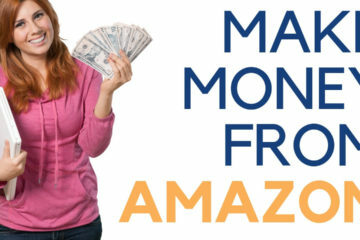 Earning money from Amazon is done through Amazon’s affiliate marketing program. If you’re not familiar with affiliate marketing, check out the What is Affiliate Marketing? How To Earn Income Online article. As an Amazon Associate, you get custom links to products on Amazon and when people visit Amazon from your links you get a commission(s) from all products that customer buys. Amazon is just one example, there are over 100,000 affiliate programs that you can join, just about every product you can imagine has an affiliate program. If you’re already writing reviews on Amazon, why not add them to your own site and make some extra cash? Join Me Here and learn how. It’s $0 (Free) No credit card needed! Upon joining, I will make sure to get in touch with you within the first hour. Hey Greg great post on amazon reviews. You are right this is a good way to earn extra cash. I’m also affiliate with amazon, and that is a great way to keep coming up with new content by doing reviews on all of their products. I have been getting things from amazon for about 4 years never thought that you could turn around and write a review about it and then get paid great job. Hi Mark, thanks for the comment and yes Amazon reviews are a great way to make extra cash. Great post! I have just recently signed up to be an affiliate of Amazon. I mainly post products that relate to my article, but don’t do specific reviews for the products I include in my post. Do you recommend doing reviews rather than just posting products that relate to my articles? Hi Weston, thanks for the question. You can do both reviews and products related to your post. I do reviews mostly but have done products and related products as well. I recommend trying out both and see witch one works best for you and your niche. Thank you for your help, Greg! I will give reviews a try and see if they get better results. I would say both are doing well. Single product reviews work well because people will search for the product with the words review after it. With the Top Gifts For Drummers post, people could buy a lot more other items that you get a commission for. Sometimes people don’t even buy the product I review but buy something else and I still get a commission on it. I have found your post very comprehensive to understand all the potential opportunities with Affiliate Marketing when creating an online business. As you mention, Amazon has an affiliate program with thousands of potential customers. It is a great opportunity to see through the video the possibility for product reviews. Thanks for sharing. Thanks for the blog, this is very eye opening. I did not realise you could get paid literally for anything someone bought on Amazon. I had heard of the Amazon affiliate programme but was not quite sure how it would work, this is good to know. Hi, Greg. Thanks for the post. I am familiar with affiliate marketing but haven’t gotten involved with Amazon yet. 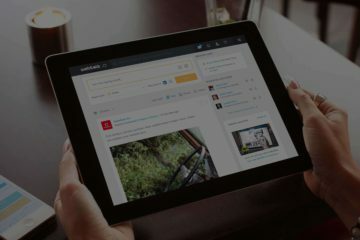 When you talk about writing a blog post, are you talking about when you sign up as an affiliate? Like writing a review of the product you are affiliated with? Makes sense to me. Hi thanks for this post. Writing reviews on Amazon is a great way to earn income. There can potentially be thousands and thousands of products for your part niche so the possibilities are endless in terms of earning extra income. I really enjoyed the video as well. This was very informative. I believe affiliate marketing is one of the best industries to join. I finished university two years ago, and I think the traditional 9 to 5 job enslaves your time and passion. It is really great idea to make the best use of Amazon reviews, and making money through it. I do believe Reviews are the way to go but the thing I have a problem with, is not owning the product. Do you buy everything you review? I know Reviews I have done on my own blog (but for MLMs) have all positioned nicely on page 1 and I have people joining me through those. The difference is though, I was part of that program so it was an honest review. Is someone clicking on your link and then making a sale the only way to make money online? Or can you get paid for other actions also? I’ve been reading many things online about earning money doing amazon reviews and product recommendations. Man, it looks great, you can do it from home, with products you like and help people at the same time with your recommendations. Thanks for the comment Israel. Yeah, it’s so much fun, I’ve been doing reviews on Amazon over a year now and the free websites and training from WA really help out big time as far as turning reviews into profit.